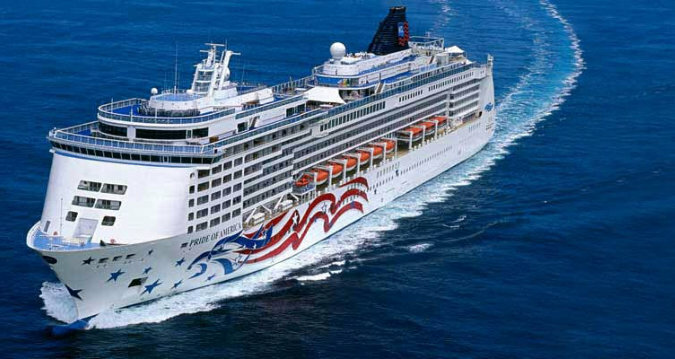 The only cruise sailing to all 4 Hawaiian islands in 7 days year-round! Voted best Hawaii Itinerary 10 years in a row! Aloha! Come aboard Pride of America for the best way to island hop Hawaii. From the moment you step into the Capitol Atrium, with its soaring Tiffany-glass dome and grand staircase, you’ll know this is a spectacular cruise ship. Cruise America’s paradise in style, with 14 restaurants and 9 bars and lounges, excellent family accommodations, spacious suites and lots of balconies – perfect for whale watching, witnessing Kilauea Volcano or taking in the dramatic views of the Napali Coast.